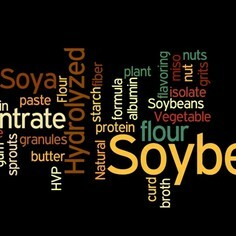 Did you know that soy is one of the top 8 food allergens in the US today and is in nearly every processed food on the shelves today? Girl Scout Cookies being one of them!! Now, I am not promoting Girl Scout Cookies in any way, but it is a big business that provides funding for a great program for growing young girls. If we could all work together to get soy removed from these cookies, it would bring awareness to the unnecessary use of soy in our foods and possibly start a trend among other companies who might do the same. Please take a second to sign Subtract Soy Now's petition to to ask Girl Scouts of the USA to remove soy from Girl Scout Cookies.